E-COMMERCE SITES ON THE WEB TODAY! TripleClicks launched on January 5th, 2009. You may also not be aware that your SFI affiliateship automatically includes a TC membership! And we're just getting started with the products and offerings. 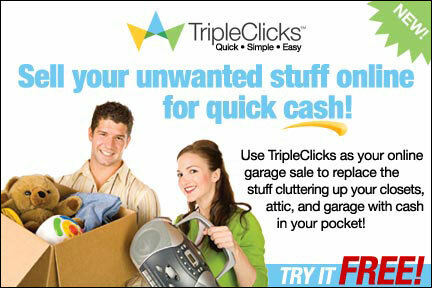 We launched TripleClicks with approximately 6,000 products, but that was just the beginning. We've now grown to 120,257 products from 200 countries worldwide and are adding hundreds of new products weekly. We also now have downloadable music, auctions, games, a member rewards points system, and there's much more still in development! Pricebenders™ is a section at TripleClicks.com that features live "penny auctions." ​Pricebenders™ Auctions deliver brand new brand name merchandise, gift cards, and more at prices that are far below typical retail. In fact, prices start at just $.01 (yes, just one cent!). With each bid received, the price increases by just one cent. The final bidder may then buy the item for the ending price (usually a fraction of the normal retail price). 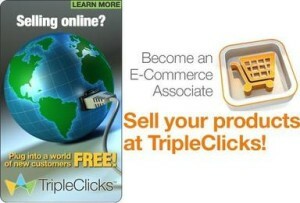 ﻿Our ECA Program allows commercial sellers and companies of all kinds, from around the world, to market their products and services side-by-side with our own products and services at TripleClicks.com. And we've made it very easy for companies to plug in their products and services. Indeed, the ECA theme is "Plug into a world of new customers!" Another component of TC you need to know about is the TC Member ListingsProgram.